Pure rosin extract for your end customer. Wheels to easily move the machine. International Shipping. 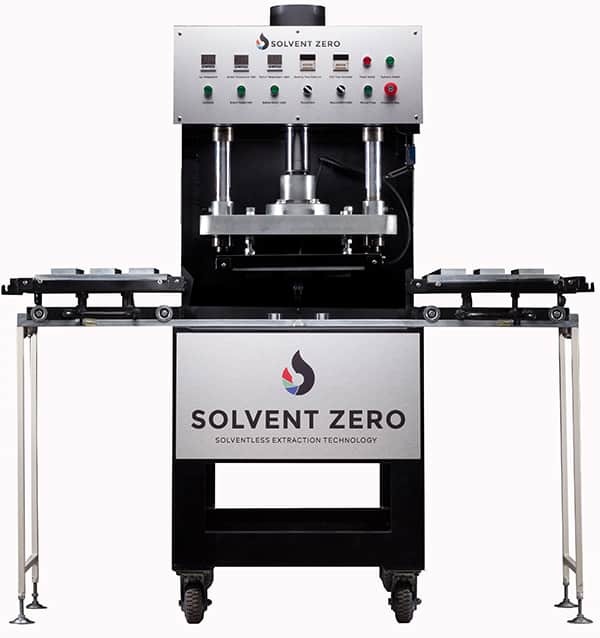 Solvent Zero is the leader in the latest solvent-free patent-pending rosin extraction technology. The Machine processes 40 lbs + of material per 8 hour shift. We manufacture the largest commercial sized Rosin Presses in the world, with patent-pending technology designed for maximum yield and exceptional quality. 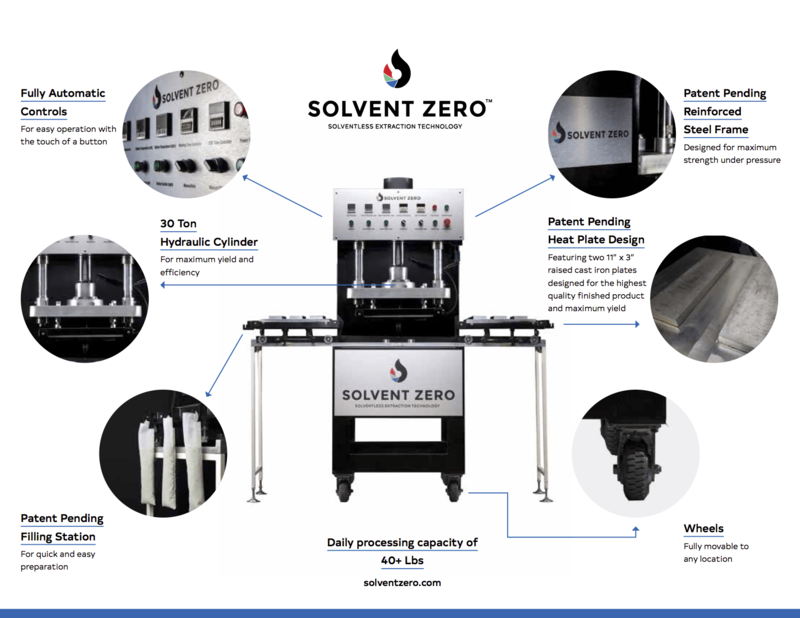 The Solvent Zero Solution is a non-volatile extraction method, using absolutely NO chemicals or solvents. Our machines are compact, user-friendly and extremely durable. Patent pending filling station. For quick and easy preparation. No other solventless extraction technology is capable of processing this amount of material as quickly, and with this amount of ease. Dual station design enables you to press one side, while you set up the other, for efficient and continuous workflow. Dual custom raised heat plate design, allowing the user to easily switch from one workstation to another all while getting the highest yields with the highest quality. We've included a variable down speed feature for the plates. This means NO need to pre-press your bags to prevent blowouts.